…are proud to present our pillar notes meeting folder ppt icons graphics. Graphic of pillar, notes and folder has been used to craft this power point icon template diagram. This icon template contains the concept of team meeting and data storage. Use this icon template for data related presentations. We are proud to present our st patricks day festival folder icon with clover powerpoint templates ppt backgrounds for slides. Send your wishes by using this template which is iconic symbol of Irish culture.this template contains folder picture with clover leaf on it. Presenting this set of slides with name - Cloud Showing Interlinks Between Documents Music Folders Icons With Text Boxes. This is a one stage process. The stages in this process are Cloud Storage, Data Storage, Cloud Computing. …are proud to present our announcement cd folder data management ppt icons graphics. Concept of data management has been displayed in this power point template diagram. This PPT diagram contains the graphic of CD and folder icons. Use this icon template for data and management related presentations. …our add to search magnetic attraction user page folder ppt icons graphics. Concept of add, search and user application has been displayed in this power point template diagram. This PPT diagram contains the graphic of four icons. Use this icon template for technology and data related presentations. Presenting this set of slides with name - Big Data Icon With A Globe And Folder. This is a three stage process. The stages in this process are Big Data Icon,Data Management Icon. 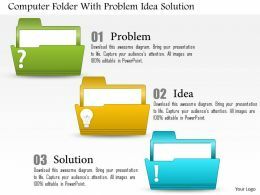 We are proud to present our 2513 3d man carries folders ppt graphics icons powerpoint. Our 2513 3d Man Carries Folders Ppt Graphics Icons Powerpoint Are Designed To Help You Succeed. They Have All The Ingredients You Need. Presenting accountable icon person with 5 folders surrounding. This is a accountable icon person with 5 folders surrounding. This is a three stage process. The stages in this process are accountable icon, responsible icon, liable icon, answerable icon, chargeable icon. Presenting this set of slides with name - File Structure Showing Folders And Person Image Icon. This is a three stage process. The stages in this process are File Structure, Records Structure, Folder Structure.